Happy New Year lovees! Wow it’s been a very jam-packed 2014 for me. How about you lovees? How was your 2014? Are you welcoming 2015 with new adventures and opportunities? I hope you do. It’s good to leave everything that happened in the past in the past. Perhaps, 2015 is a new year and everything in your life should be new. It’s been a very tiring week for me, I just got home from Anawangin trip with my friends, which I will be posting anytime this weekend, I’m just rendering the video. And since I’ve been tired after a 3days-2nights vacation, I wanted to begin my new year stress free. I didn’t spend anything on January 1st because I don’t want to be spending the whole year spending. Haha. So I visited this spa on January 2nd. 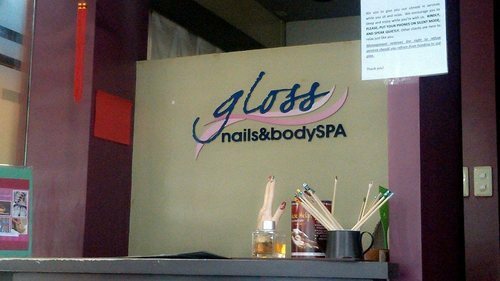 I was early for work since I didn’t came to the office for two days and for sure, I will be facing a pile of workloads and emails for the whole day, so I pampered myself with a Manicure and Pedicure at Gloss Nails and Body Spa - Eastwood Branch. I was surprised that they are offering 10% discount to Accenture employees that’s why even though I spent for this pamper time, I still saved 10% of the total price. Yay! 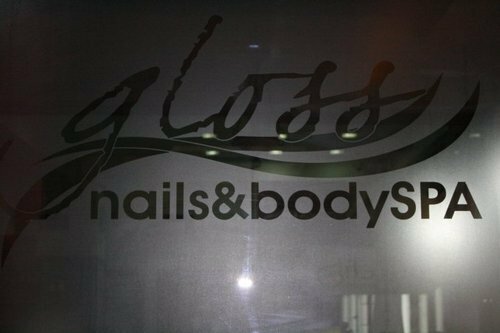 So I’m going to share with you my pamper experience at Gloss Nails and Body Spa. When I arrived at the salon, I was their first client. Lucky me. I don’t have to wait for long to the pamper time I’ve been waiting for few weeks ago. I chose the regular cleaning offer since my cash is, you know… Holidays went and my cash needs to reach until next payday! Haha. The service is worth 370php both for hands and feet with 10% off, so I only paid for 333php. The nail technicians were very accommodating, and their services are really good. I even got a free massage for both hands and feet! I just felt very relaxed. This is my second nail spa experience in Eastwood. The first one is Nail Cocktales where I experienced a total pamper moment. Just like what I experienced in Nail Cocktales, Gloss took extra care to my nails. The nail technicians were very delicate, and they even suggested tips for me to have healthy nails.  FYI, I have a very deep ingrown nails since I was 18 when I started having pedicure services on small parlors. The nail techs doing my nails told me that if ever I will be visiting another salon, I should request not to cut the cuticles and just the dead skin so that my toenails will grow back the way it was. Well, point taken. I will take note of that. Anyways, Gloss is using a branded nail polish (Orly) to their clients. I love the variety of colors since it’s pastel. Yes, I so love pastel colors. 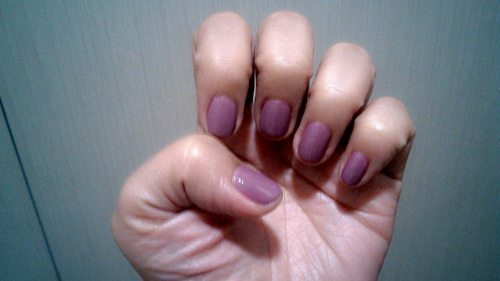 They also applied base coat before the nail polish proper, then the finishing coat, and something’s new to me: the quick dry polish to prevent the nail polish from cracking. Isn’t that amazing? If you can see below, my nails is so oily. That’s because of the quick dry polish. But afterwards, the oil dried. Let me show you the interior of the salon. This is the reception area. 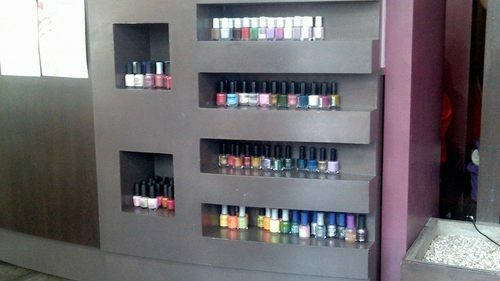 They also store their nail polishes in front unlike other salons who put their nail polishes in a basket. These are their branded nail polishes. And tadaaa! 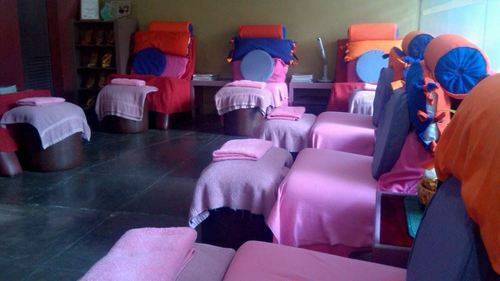 These are their couches where they do their nail pampering with the clients. I really love the hot pink theme. Plus, the couches are very comfortable to sit on and also very relaxing. In fairness, their quick dry polish never failed. I always break the nail polish the day after my manicure but I was surprised that the polish is still good as new! 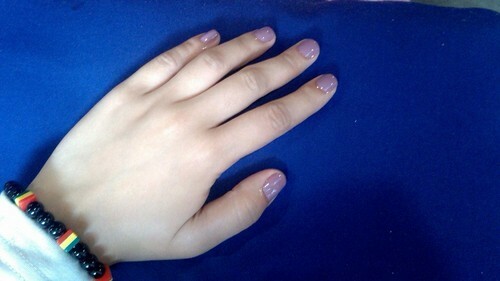 Thumbs up to Gloss Nails and Body Spa! You can also set an appointment to your favorite nail techs if you want to be prioritized on your visit. 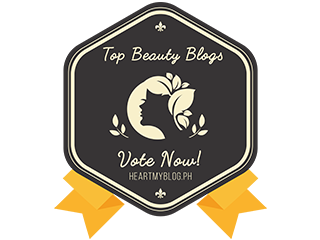 You may visit them at 2/F Fashion Village, Citywalk 2, Eastwood City, 1100 Quezon City, Philippines.